Steelman Partners has worked on projects on the Strip, in Atlantic City, Macau and across the world. To date, the firm has designed about 4,000 projects. When people think of the giants of the Strip, a few names could come to mind: Steve Wynn, Kirk Kerkorian, Sheldon Adelson and a handful of others. But with every masterful invention, there are others who help shape the grand imagery, helping make the leap from the mind into an image on paper and ultimately into some of the most masterful designs anywhere in the world. For more than four decades, Paul Steelman has been one such figure. 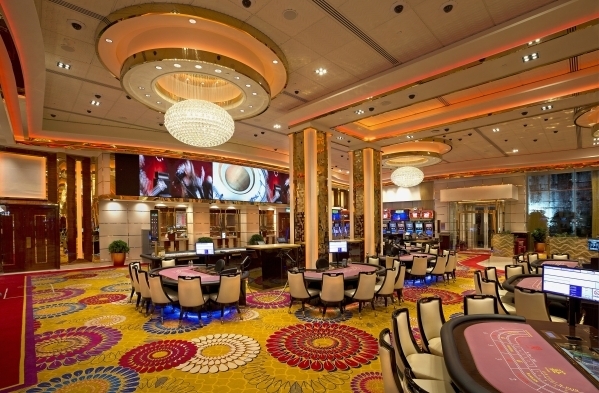 As owner and CEO of Steelman Partners, a Las Vegas-based architecture firm in the global gaming, entertainment and hospitality industry, he has worked on bringing masterworks to fruition on the Strip, in Atlantic City, Macau and across the world. To date, the firm has designed about 4,000 projects. The Atlantic City native began his career at his father’s firm. He graduated in 1977 from South Carolina’s Clemson University — one of the top ten architectural schools in the world, he said. But the young Steelman was destined for a specific path. Starting his career on the heels of Atlantic City’s gaming era, Steelman helped design Resorts International, Atlantic City’s first casino project. 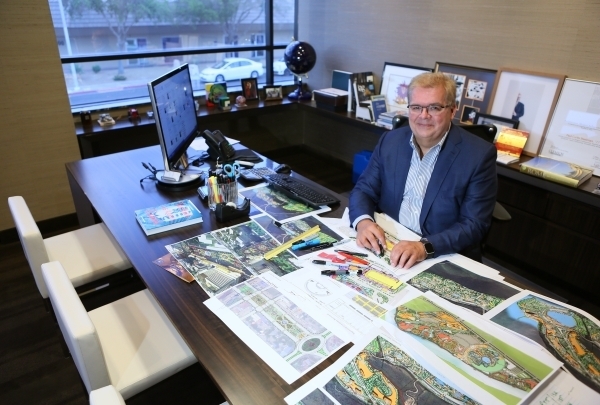 Steelman further moved toward the gaming design specialty after meeting Joel Bergman — Wynn’s architect at the time — during his tenure at the Atlantic City Planning and Development Department. Steelman worked alongside Bergman, putting together The Mirage hotel-casino on the Strip. He also worked on Wynn’s Golden Nugget projects for nearly a decade. In 1987, Steelman opened the doors to his own firm in Las Vegas, and he continued to do work on The Mirage, which opened in 1989. Steelman said The Mirage marked a change in the Las Vegas casino scene and how many resorts are designed today. Steelman noted that the number of tourists coming to Las Vegas has more than doubled since that time — from 16 million to 18 million then to around 41 million last year. But Wynn was also working off a model for his development. Kerkorian was building gargantuan casinos since the late ’60s: The International, which is now Westgate, and the MGM, which became Bally’s. The MGM had 13 restaurants, two theaters, a giant swimming pool and a large health club. The enhancement of future design hit a lull in the ’70s through early ’80s, Steelman said. After that, Wynn was ready to adapt Kerkorian’s ideas. The Mirage would have 1,000 more rooms than the MGM and added convention space for midweek shows, Steelman said. Wynn followed MGM’s successful “Folies Bergere” show with Siegfried & Roy. Another feature Wynn brought to the Strip was conceptualizing the importance of the exterior. The concept of an integrated resort — defined by its large casino areas, large number of hotel rooms and its many entertainment attractions — began with Kerkorian and was enhanced by Steve Wynn. These concepts have been altered further by local players such as Sheldon Adelson and from ideas at properties across other continents. But it was Steelman who brought the thoughts to life. “Everybody is looking toward the next thing and the newest thing,” Steelman said. And Steelman has been there to see many of these different projects go into play, designing in places such as Cambodia, Vietnam, the Philippines and Macau. The firm is one of the largest of its type in the world. Steelman has offices in Las Vegas and in Zhuhai and Macau, China; Ho Chi Min City, Vietnam; Phnom Penh, Cambodia; and Amsterdam. Steelman also has a satellite office in the Gold Coast in Australia. Total employee count has reached 200 worldwide. As the Steelman firm has progressed, along with the changing world of entertainment and gaming design, several companies have been spawned from the initial concepts of the larger organization. Steelman has an aviation company that not only flies him around to destinations but flies for profit as well. His Pacific Casino Entertainment company — an EB-5 regional center — helps to fund future casino projects. Steelman also owns a slot machine game development company. And Steelman owns several other companies related to his design core. All the affiliate companies are owned by Steelman Partners’ ownership group and are based out of the Las Vegas office. There’s Dalton Steelman Arias and Anderson, which leads the way on Steelman’s interior design department. Shop 12 Design does work for the firm’s lighting department, which Steelman says is an important aspect for the quality of the gaming experience. Inviro Studios creates architectural animation, with commercials and Web posts for the firm. Steelman also has a branding company, Marqi Branding Studio. Steelman’s architecture firm, with his group of affiliated companies, has done work for several major casino groups in Las Vegas including Caesars Entertainment, MGM Resorts International, Las Vegas Sands Corp. and most recently the Genting Group on the Resorts World Las Vegas project, which broke ground earlier this year on a long-stalled former Boyd Gaming project.